When I speak to IELTS students there is one concern that is shared by all of you. How do you know if your IELTS performance is good enough for the Band Scores you need? Finding practice questions to answer helps a lot – especially if they have Model answers – and the free and premium IELTS Test lessons and learning material available through www.passieltshigher.com but there is still a nagging doubt about other aspects, such as Speaking. 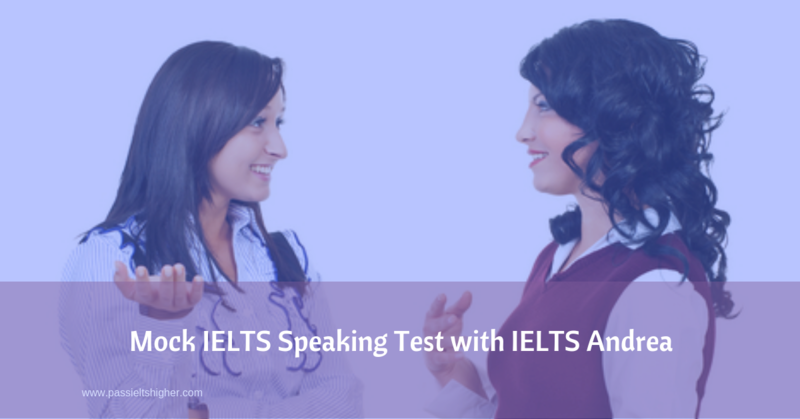 How to be sure your IELTS speaking performance is the best it can be? Well in addition to our IELTS Writing Assessment and Coaching packages - which focus on improving your Task 1 and Task 2 writing skills - we offer online live one-to-one Mock IELTS Speaking Tests. The beauty of our coaching is that you get to identify your weaknesses with our coach and concentrate on improving them - and all the time you are being coached have access to our online IELTS lessons and materials so you can study at your own pace. The combination of our online learning materials and coaching is very powerful. This means that the time spent with your coach can just concentrate on your weakest elements - a really efficient way of using your coach's expertise. You are only as good as your preparation. You may have a natural flair for learning languages - or you may not - but do you truly understand what it takes to satisfy the IELTS Examiner? Finding practice questions to answer is a good thing to do – especially if they have Model answers – but model answers will only take you so far towards success. To truly understand how good your IELTS Test preparation is, you will need advice from a professional who does understand and can correct your mistakes with you. This is the service we offer to you. You will feel much more confident in the exam if you have prepared yourself as much as you can. You will always be up against the clock and running out of time to prepare. That is why your IELTS Test preparation needs to be focussed and on the right track. Otherwise you will be wasting your time and effort. Having your writing assessed by an IELTS professional will ensure that you understand your weaknesses. There is really only one sure way to find out if your preparation has been effective – that is to have yourself assessed and coached by someone who is an English teaching professional. ...and what you need to do to improve to get a higher IELTS Test band score. It is only when you know how to improve that you can confidently prepare. Check out the testimonials below to hear what people say about our websites and services. Since 2010, www.passieltshigher.com has helped many IELTS Test candidates achieve the results they are seeking. This continues today. Would you like to be our next coaching student? Receive your IELTS Test One-to-One Coaching from IELTS Andrea. Andrea pays meticulous attention to details which helped me a lot to improve my language… …I took a few speaking sessions with her, and I followed her tips which helped me speak with more confidence, and I managed to achieve band 7, 7.5 and 8 in my speaking tests. Hi Stephen, I got my IELTS results and got a high score! I got in writing the 7 band score which I needed so I am really happy. Thanks to you and Don for this great service. I passed my IELTS, thank you very much. I took coaching classes for writing and speaking from Andrea and she helped me a lot… …and helped me to build up my confidence in writing and speaking. I highly recommend this site for ielts preparation to others. I achieved overall band 8 in ielts with listening 9 ,reading 7.5,writing 7.5 and speaking 7. We offer 1, 2 and 3 Mock Test packages. In the mock speaking test, you'll do a proper IELTS Speaking style exam that will take maximum 14 minutes. The spoken feedback and any questions you have will take maximum 16 minutes. While, the assessor is listening to you, they will note what is good about your speaking and what you can do to improve your Speaking band score and feedback to you in person and via email, so you have my feedback in writing, too. The feedback will also include speaking materials telling you what the examiner is looking for, with models to guide you, and some questions to think about by yourself, so that you practise the suggestions made. The materials also include the typical areas on which you will be questioned. Please note: the Pass IELTS Higher Community members get a 10% discount on all coaching packages - you must be logged in to obtain the discount. You must remain a member during delivery of all coaching sessions. All our coaching package students get free access to all our online materials so you can study online outside of your coaching sessions and bring any questions you have to your coaching sessions. One Mock Speaking Test coaching provides you with detailed feedback on how to improve. You have a No Quibble, 30-Day, 100% Money Back Guarantee - If you are unhappy about any of the service we offer then we'll refund your money, so there is no risk to you. If VAT or Sales Tax applies in your country, this will be applied at the checkout. Two Mock Speaking Coaching provides you with coaching which is tailored to your specific needs and helps you to strengthen your weaknesses to improve your bandscore. 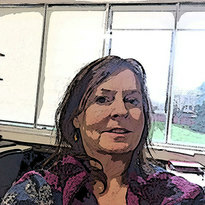 In addition to live IELTS Band 7/8 Speaking coaching with Andrea, you'll have access to our online IELTS Lessons - from our online IELTS Preparation Course (note if you are using an iPhone or iPad to access these that you will also need to download an App - like Puffin - which permits playing of flash files). IELTS Band 7/8 Speaking coaching provides you with coaching which is tailored to your specific needs and helps you to strengthen your weaknesses to improve your bandscore. There is a No Quibble Guarantee. If you aren't happy with your service for any reason we will refund your money. The risk is on us at www.passieltshigher.com to deliver good IELTS preparation service to you. Your Payment/Paycard/Credit Card Information is Safe! We don't see your paycard, credit card or other payment information. We use Paypal and Stripe, which both have a good reputation for handling your sensitive payment information. They don't pass it on to us.